I once bought an eel from a Chinese fishmonger in Soho, carried it home on the Northern Line, and then realised my next job was to skin it. This is what you have to do: nail it to a door-frame or other substantial wooden part of your dwelling, make an incision on either side of the neck, take a pair of pliers in each hand, grip the two cut pieces of skin, put your foot against the door level with the eel’s head, and slowly haul back the skin, which is firm and elasticated, like a dense inner tube. Afterwards I was glad to have done it. Now I shall know how to proceed if forced to survive somewhere with only an eel, two pairs of pliers, and a doorframe for company; but I don’t otherwise need the activity to be central to my life. Smoked, stewed, barbecued – eel is welcome on my plate in most forms; but from now on I’ll let others do the skinning. I know exactly what he means. I feel much the same about pickling chillies: really, once was enough. But as to ordinary food – the sort found in supermarkets and the average recipe book – there are only two things which I refuse, absolutely, to eat. I don’t particularly care for mangoes, papaya, blue cheese, strawberries (yes, I know), and raw tomatoes, but I’ll eat them for the sake of politeness. Yet goats’ cheese and bananas are entirely beyond me. Even the thought of eating them makes me shudder with revulsion: for both it’s a case of pungent, unpleasant smell mingling with a sticky-soft texture and a gag-inducing flavour. I have only one friend who shares my antipathy for both foods, but I know at least three others who feel the same way about bananas, and my issues with goat’s cheese seem to be fairly widespread. So I refuse to feel that I should account for my antipathy. No doubt in the future some of our eating habits will be high-mindedly condemned as shameful and disgusting and incomprehensible. Rather as we feel when we learn that they used to eat herons in the late Middle Ages and Renaissance; further, that they trained falcons to hunt them. The English roasted heron with ginger, the Italians with garlic and onions; the Germans and Dutch made them into pies; the French thought it bad form to serve heron without any sauce, and La Varenne further suggested decorating the platter with flowers to make the dish look more appealing. As taste has changed over time, so has what we define as being too disgusting to eat. Medieval princes may have supped on lampreys; now these jawless fish are left largely to their own devices. I’ve been reading a collection of Hugh Fearnley-Whittingstall’s journalism, Hugh Fearlessly Eats It All (2006), and was struck by an article in which he lists all the unusual – and usually disgust-inducing – food which he has eaten and, for the most part, liked. In ‘Taste Not, Want Not’, he moves from the relatively normal (brains) to the weird (goose barnacles) to the (to me) utterly revolting (maggots). I was surprised, though, by his inclusion of donkey salami. Donkeys, to whose sanctuaries the British donate millions of pounds every year, and whose apparent uncomplaining willingness to be beasts of burden, seem to be the last animals who should be allowed onto a menu. They are too good – too noble – to eat. And yet they are eaten in France – along with horses. My discomfort at Fearnley-Whittingstall’s admission – and he adds that he was initially uneasy about the salami – turned into a contemplation of how easily we distinguish between two groups of animals: between those that we will eat, and those that we won’t. More importantly, we imbue these two categories with moral meanings. It’s not just disgusting to eat dog, but morally wrong too. Our shifting views on the acceptability of eating animals are determined by a range of factors, not least of which is how we think about our pets. Humans have domesticated animals for thousands of years, but it’s only relatively recently that we’ve begun to keep animals exclusively for our amusement. 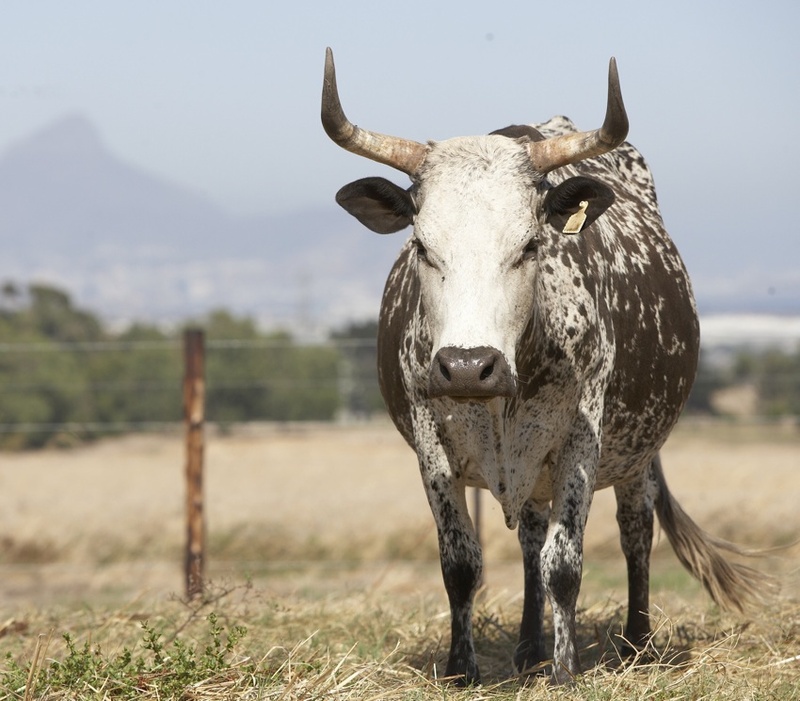 This is not to suggest that Xhosa herdsmen during the 1700s felt no affection for their cattle, but, rather, the idea that a family should include an adored pet originates in the West during the nineteenth century. Along with our pet-keeping, our increasing concern for protecting wildlife has helped to diminish our enthusiasm for eating wild animals. It’s interesting how willing the employees of the Dutch East India Company stationed at the Cape Colony during the seventeenth century were to eat hippopotamus – and their enthusiasm was rewarded by the fact that it tasted ‘like calf’. Now, we eat neither hippopotamus nor calf. Indeed, veal is an interesting case: its popularity diminished substantially during the 1980s when the appalling conditions in which male calves were reared were made better known. I’ve never eaten veal mainly for this reason. But there is an excellent case for eating veal: bull calves are a by-product of the dairy industry and those which are not marked out for consumption as veal, are shot at birth. As an omnivore, I do have an obligation, then, to eat veal. 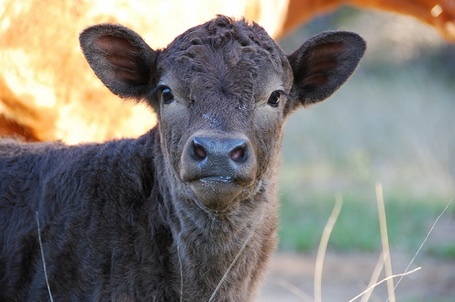 My disgust at eating veal is not because I am revolted by the idea of eating cattle or, even, young animals (I eat lamb, after all), but as a result of the fact that these calves had to suffer so that I may drink milk. I think it’s here that we could fundamentally alter the way in which we associate disgust and particular kinds of meat. With urbanisation and the industrialisation of food processing, we are no longer as familiar with the ways in which animals are raised for food: for someone brought up in a town and whose only close association with animals is the family pet, watching a chicken being killed is, understandably, horrifying. But we should not allow this distance between ourselves and production of food cause us to become too disgusted to think about how the meat we eat is prepared. It is absolutely hypocritical to eat pork – an adult pig is as ‘intelligent‘ as a dog – but to refuse to eat donkey. Rather, I wish we’d distinguish between humanely reared and factory-farmed animals. I don’t want to eat any animal that endured a painful existence to allow me to eat it. Moreover, it’s clear that the conditions in which cattle, pigs, and chickens are raised en masse are not only cruel, but ecologically unsustainable. A range of thinkers – Gandhi, Peter Singer, and JM Coetzee – have described the slaughter of animals for human consumption as mass murder. I agree with Michael Pollan and others who argue that we do need to rear and eat meat for the benefit of our and the planet’s health. We should consume fewer dairy products and eat less meat, and all of these products should be free range. Most importantly, we must rethink our sense of disgust around eating animals: I think it is far more disgusting to eat factory-farmed chicken breasts than humanely reared and –kept donkeys. Journal of Jan van Riebeeck, vol. I, ed. H.B. Thom (Cape Town: A.A. Balkema, 1952). Julian Barnes, The Pedant in the Kitchen (London: Atlantic, 2003). Hugh Fearnley-Whittingstall, Hugh Fearlessly Eats It All: Dispatches from the Gastronomic Front Line (London: Bloomsbury,  2007). Kathleen Kete, The Beast in the Boudoir: Petkeeping in Nineteenth-Century Paris (Berkeley: University of California Press,  1995). Michael Pollan, The Omnivore’s Dilemma (London: Bloomsbury, 2006). Harriet Ritvo, The Animal Estate: The English and Other Creatures in the Victorian Age (Cambridge, MA: Harvard University Press, 1987). Peter Singer, ‘A Vegetarian Philosophy,’ in Consuming Passions: Food in the Age of Anxiety, eds. Sian Griffiths and Jennifer Wallace (Manchester: Mandolin, 1998), pp. 71-80. Colin Spencer, The Heretic’s Feast: A History of Vegetarianism (Lebanon: University Press of New England, 1996). Tristram Stuart, The Bloodless Revolution: Radical Vegetarians and the Discovery of India (London: Harper Press, 2006). Sandra Swart, Riding High: Horses, Humans, and History in South Africa (Johannesburg: Wits University Press, 2010). Tangerine and Cinnamon by <a rel=”cc:attributionURL<a rel=”cc:” href=”https://tangerineandcinnamon.wordpress.com/”>Sarah Duff is licensed under a Creative Commons Attribution-ShareAlike 3.0 Unported License. I hadn’t – thanks for the recommendation!